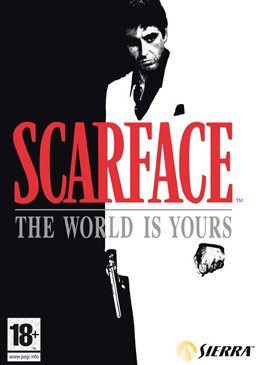 Scarface: The World Is Yours, a video game developed by Radical Entertainment and published by Vivendi Universal Games. It’s based on the 1983 motion picture Scarface with André Sogliuzzo hand picked by Al Pacino to provide Tony Montana’s voice. It was released on the PC, PlayStation 2, and Xbox on October 8, 2006, and on the Wii on June 12, 2007. Academy Award winner Randy Thom served as lead sound designer, in his first work in the video game space. This is a part of an entire post on Team xBox with some information about the sound mixing of the game realized at Skywalker Sound Studios. You can know all about the sound of Scarface at Gamasutra on this amazing article with all the information about the sound of the game.